Radio Shock visits WHFR tonight! 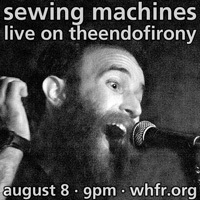 Don't forget to tune in tonight, Wednesday, March 9, to WHFR when Radio Shock visits The End of Irony for a performance at 9PM (ET)! We're hoping things get a little noisy and Casio-fied (or Yamaha-fied)!